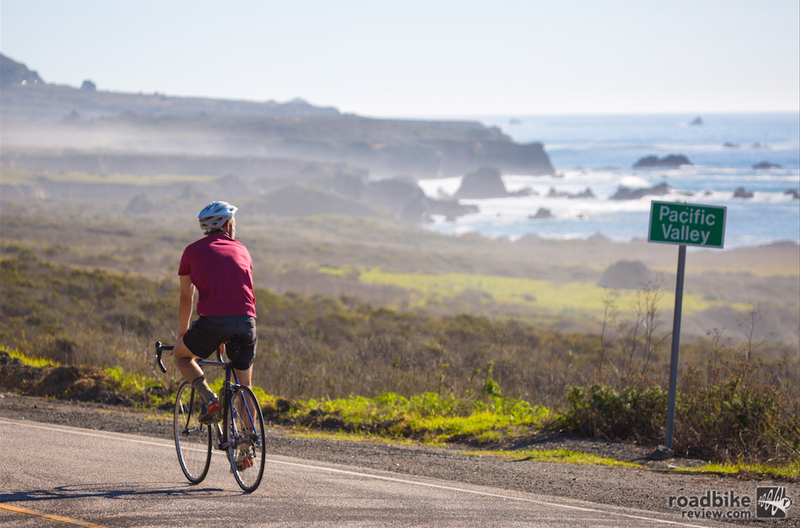 One With Nature is a group of Californian environmental advocates promoting active outdoor lifestyles. O.W.N. believes the more time you spend outside, the more connected you become to the natural world, inspiring people to act. 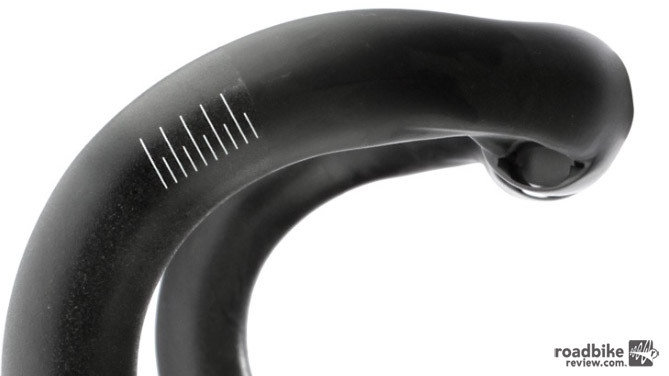 Bar tape is made from a variety of different materials ranging from thin to thick, firm to cushy, and smooth to tacky. But which is right for you? 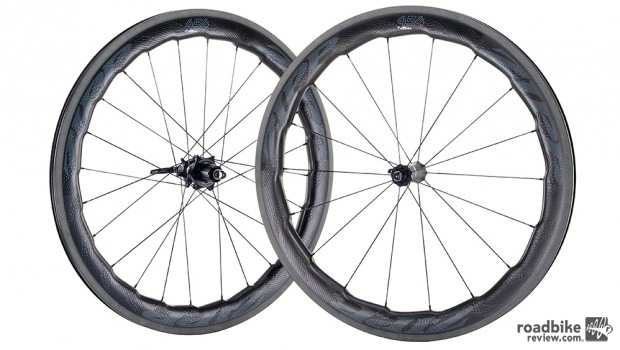 Offer to buy a roadie any wheelset they want, and many, if not most will ask for Zipp. 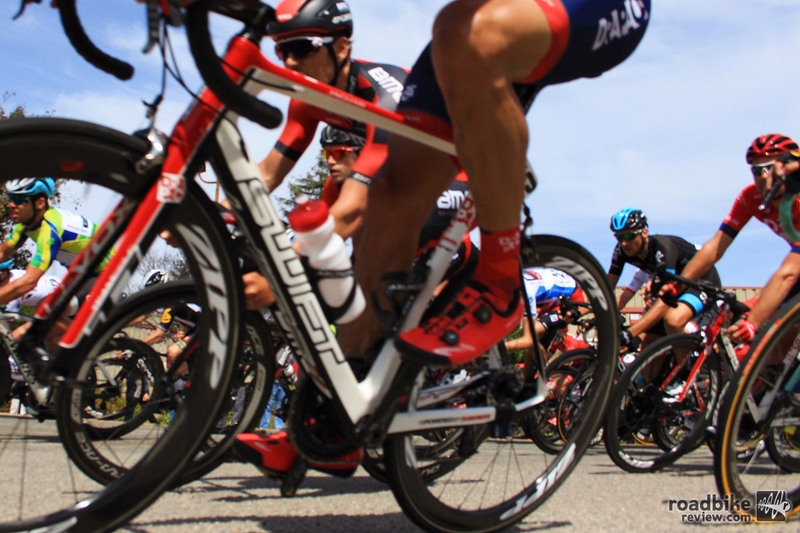 The Indiana-based company that’s owned by SRAM has been redefining what constitutes a high-end wheel for as long as they’ve been in business, and they show no signs of letting up this year. 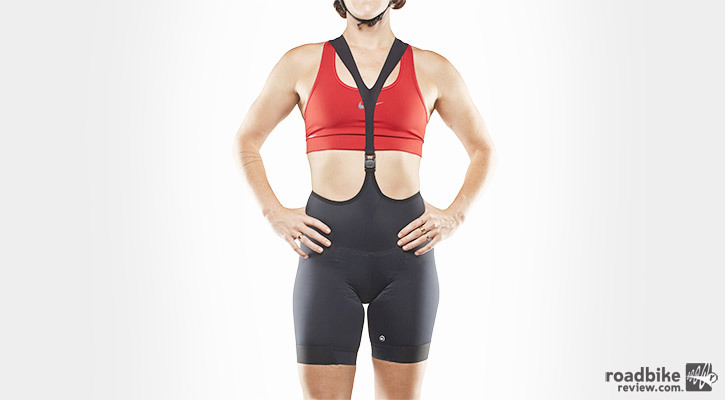 Every cyclist needs a go-to jersey. A simple piece of clothing that never fails to make a ride just that much more enjoyable. A jersey that you instinctively reach for on the way out the door. 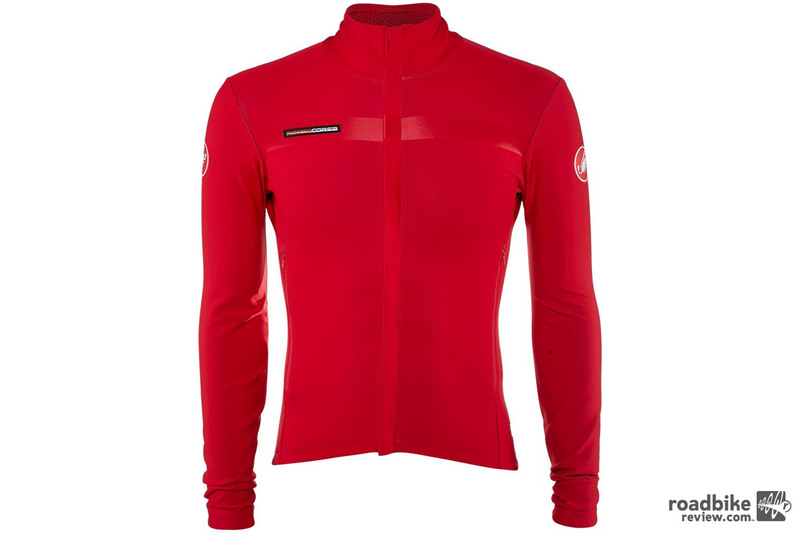 The Pearl Izumi Elite Escape Thermal just might be that jersey. 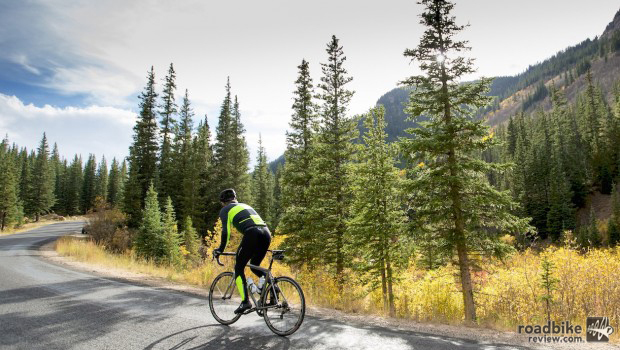 Motivation can be hard to come by during the cold and wet months of the year, but you don’t want to lose your hard-earned fitness. 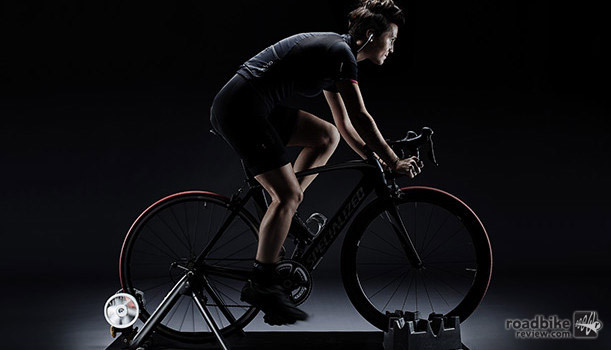 Riding an indoor trainer is a great way to keep up your training. But riding by yourself, with a video or an MP3 player as your only inspiration, can get old. Instead consider signing up for a spin class. 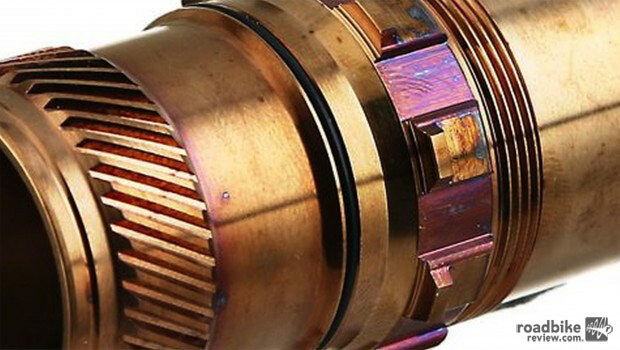 Why are wheels the single biggest and best upgrade? 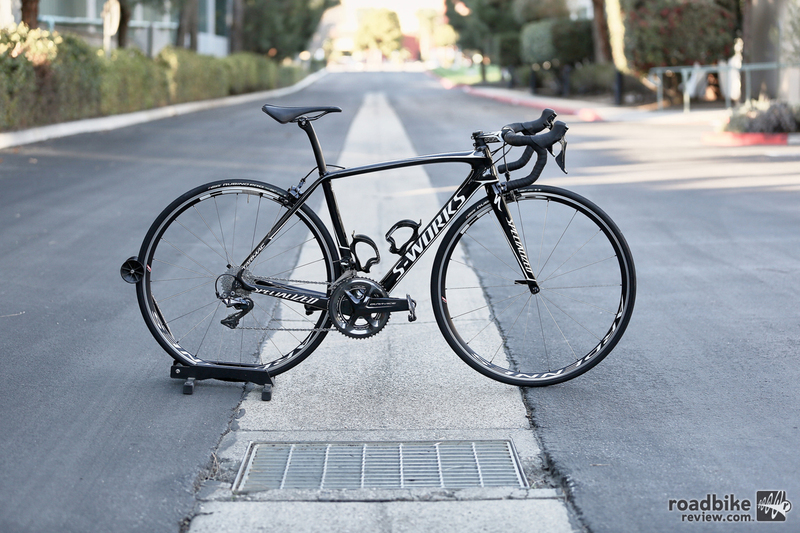 Here’s the short: A nicer wheelset usually offers weight savings, better aerodynamics, stiffness, and smoother spinning bearings. Time to upgrade? When loud and gaudy kits aren’t for you, Assos is here to swoop you up and carry you with comfort to your destination. 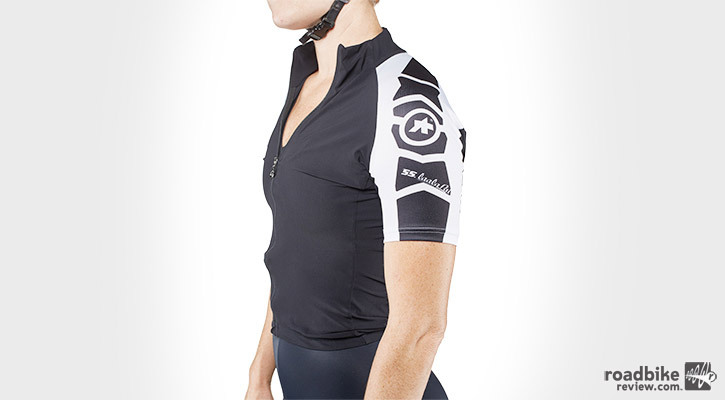 Finally Assos has an answer for women who want and need the stability of bib short. Offering great all-around performance at a reasonable price, the Power Competitions roll fast, offer great grip, and surpass the competition. 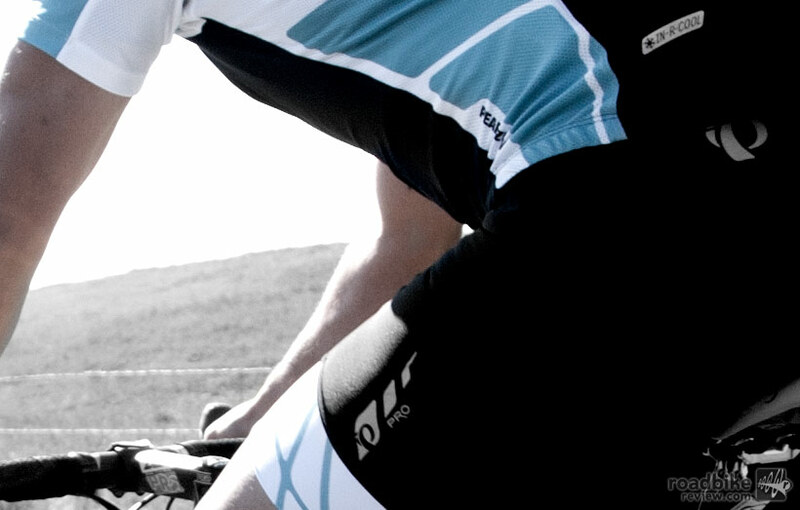 After extended ride time in the Capo Corsa SL Jersey and Bibshorts, the verdict is in. Find out how this mid-tier priced apparel fared on all-day adventures. 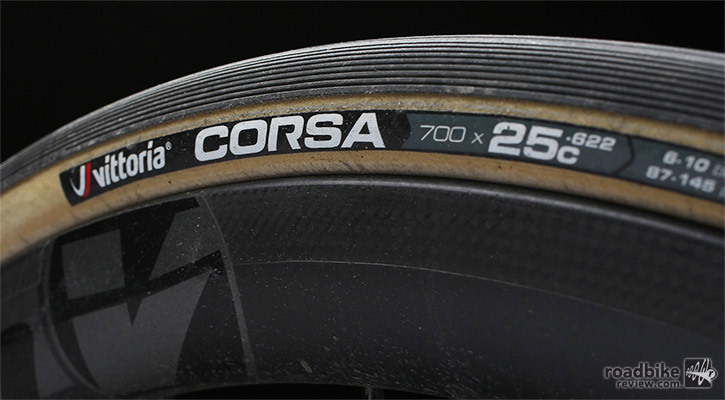 Vittoria’s Corsa G+ Open Clincher delivers top level performance, traction, and aerodynamics — and since it’s not a tubular, the Corsa is much more user-friendly, allowing you to fix the flat (or two) that you’ll inevitably get. 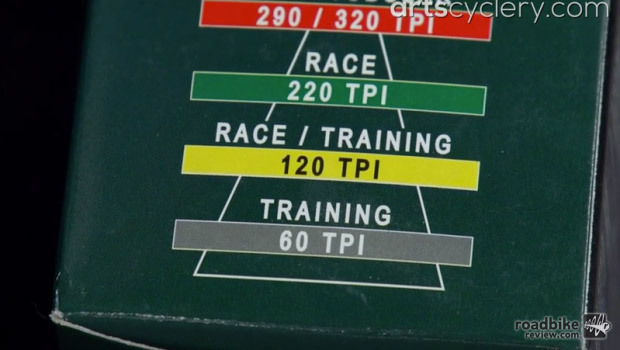 It’s always a pleasant surprise to see this level of performance and durability in a training tire, especially at this price point. 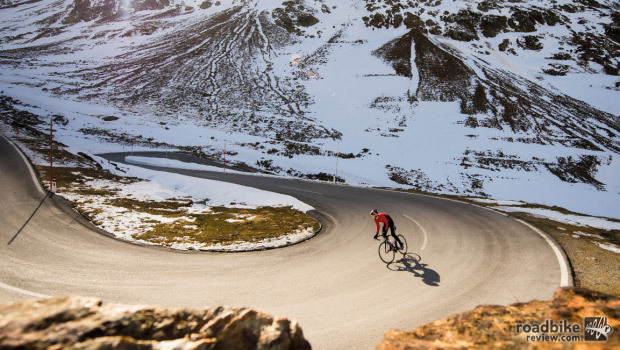 Staying on the bike in winter takes commitment. You have to want it to brave chilling temperatures, soul-freezing wind, and/or buckets of rain. Besides being on top of the mental game by maintaining enthusiasm, your equipment has got to be up to the task also. 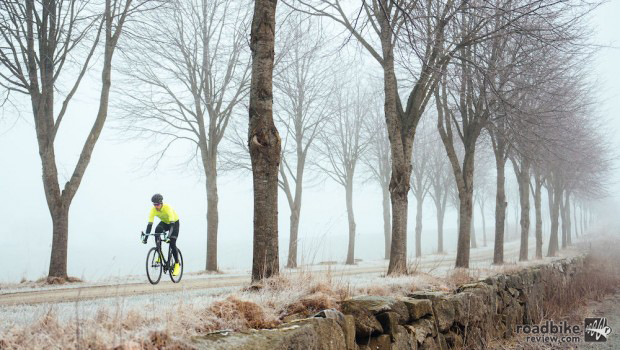 How to use every means at your disposal to maintain motivation and fitness when the weather turns cold and wet. 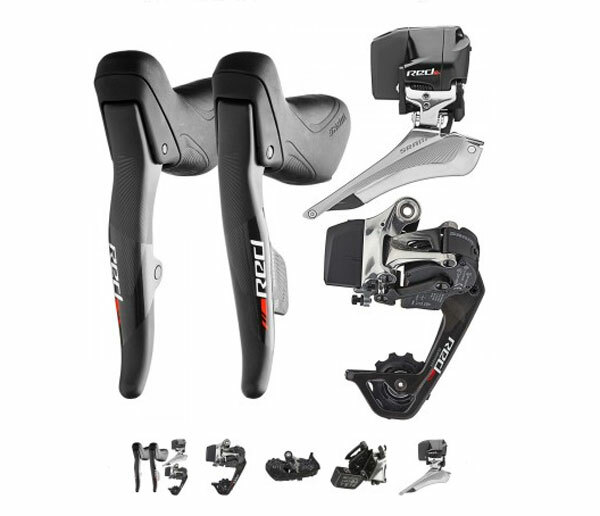 Here’s a look at some of the road cycling products that made riding more enjoyable these past 12 months. 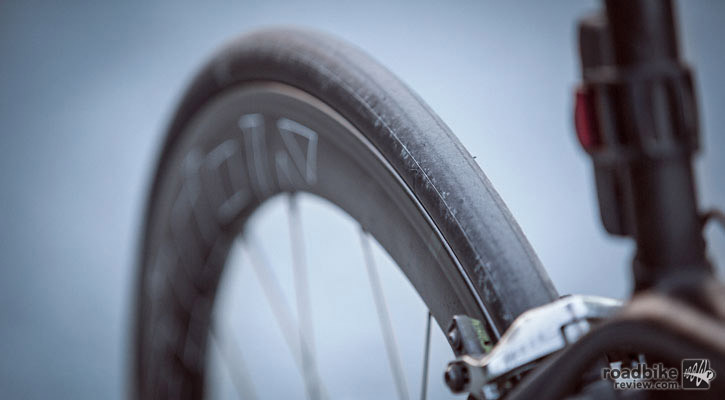 TPI, tubeless compatibility, width, and compound make-up are just some of the key considerations when selecting the right road tires for your needs. If you know someone who regularly bikes to work, commutes to the gym, or pedals to the coffee shop, then the following assortment of goodies will make the perfect holiday gifts. 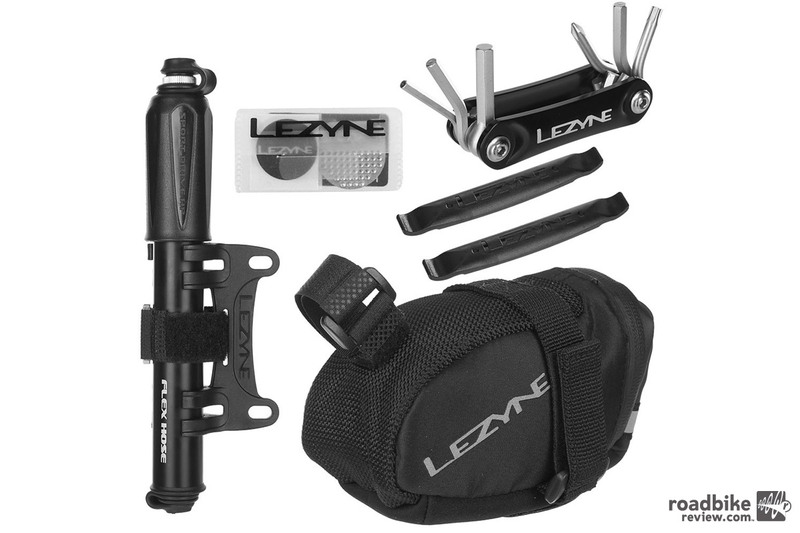 For the cyclist that’s been there and done that, here are some great gift ideas that will get them equipped for the upcoming year’s days of gloriously long miles. 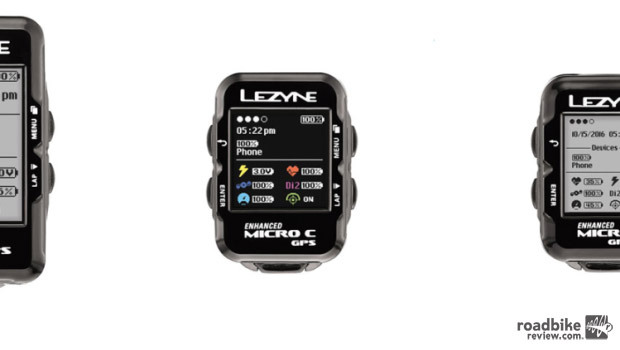 If you don’t know exactly what to get your significant other, your best friend, or bike riding family member, these gifts are truly something that every road cyclist needs. 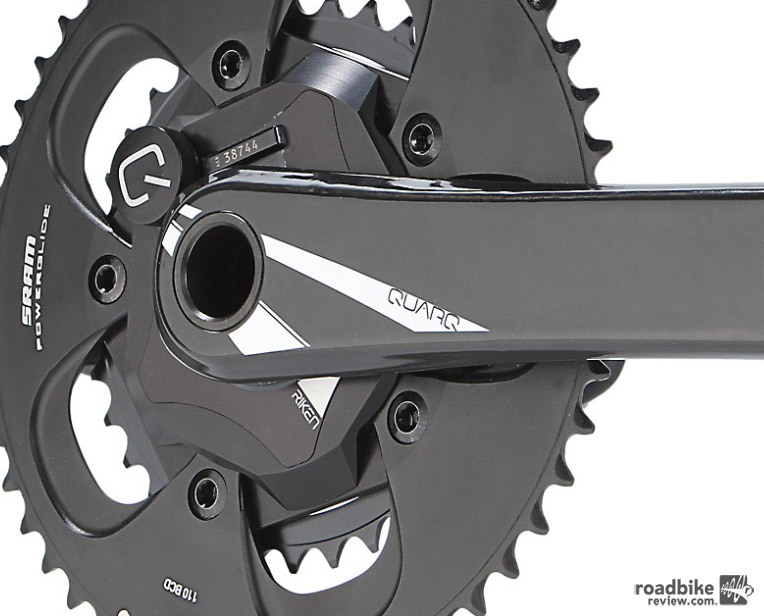 Buying the latest, greatest, lightest, fanciest frame/wheelset/drivetrain won’t guarantee you faster Strava segment times or more powerful sprints. 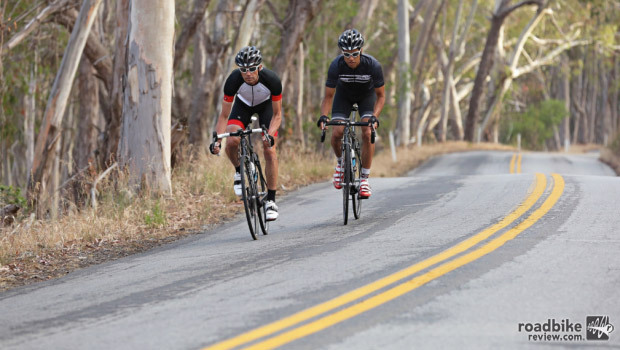 For long-lasting results that cost a lot less, nothing beats good old fashioned training. 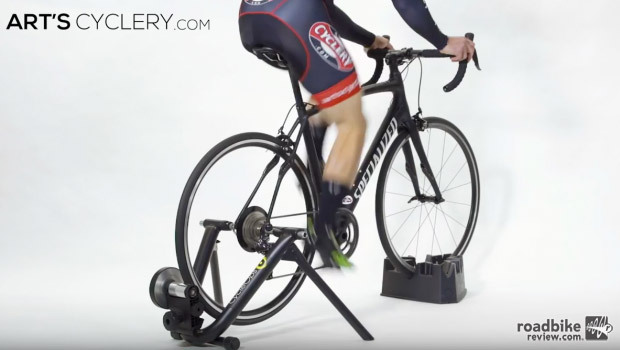 Here are five surefire ways to get faster on your bike. 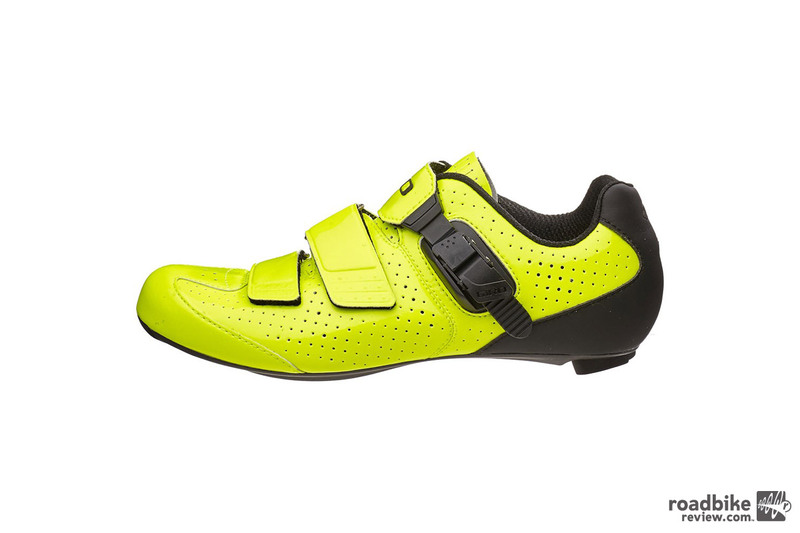 Understanding footwear technology means keeping track of a lot of features and buzzwords. 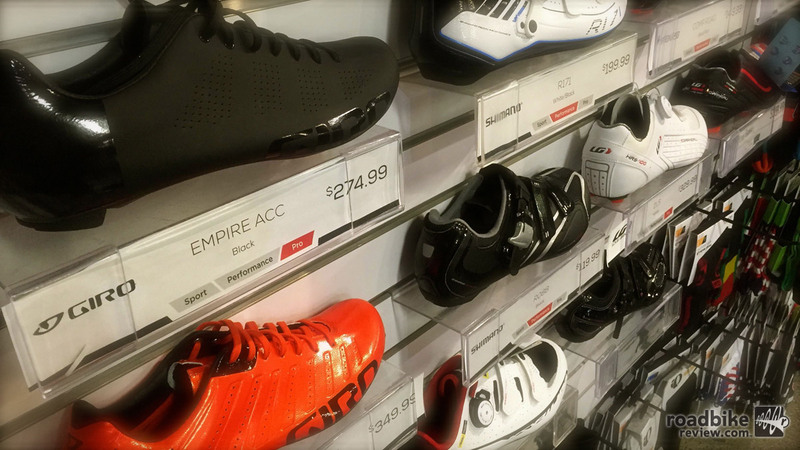 To help you cut through the clutter, here is a primer on key considerations when buying a new pair of road cycling shoes. Just picked up a new helmet, but not exactly sure to adjust it for your head? All those straps and buckles can be a bit mystifying. Fear not, though. 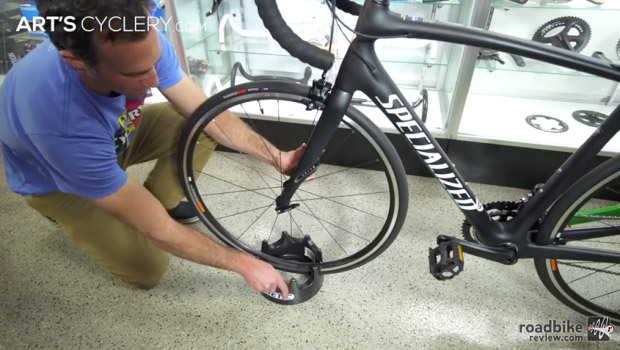 The crew from Art’s Cyclery have put together a great step-by-step video on dialing in your helmet fit. What’s the answer to the realization of world-wide peace and harmony? Massage. Regular, weekly, massage. If everyone spent 90 minutes on the table every week, no one would be angry, stressed, or aggressive. We would all be blissed-out, contemplative, present, friendly — and better cyclists. 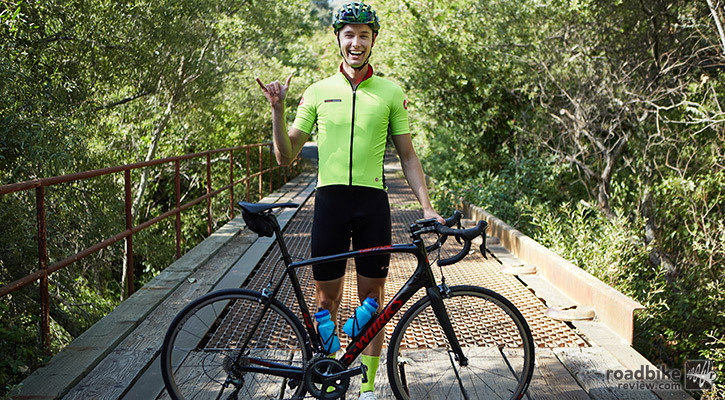 New cyclists often view particular bits of gear as either intimidating, unstylish, or a waste of cash, and some of it definitely is all of that. 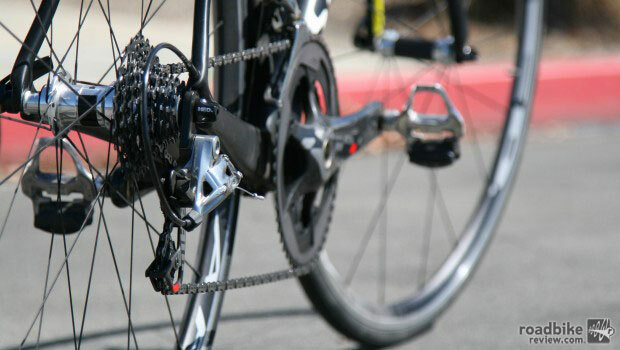 There are, however, several items that beginners always seem to shy away from, but experienced cyclists swear by. 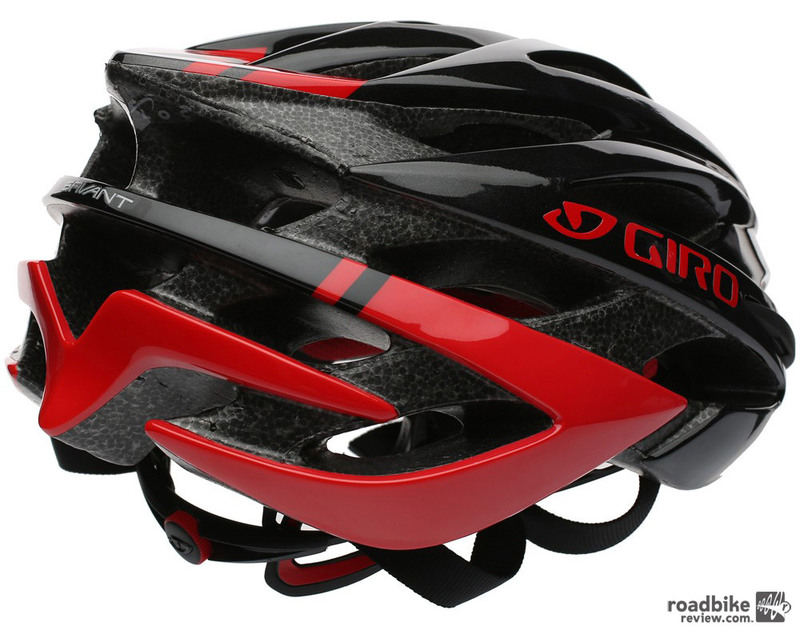 With cycling helmets ranging wildly in price, you might be wondering what the heck’s the difference between a $50 model and one that costs $300. 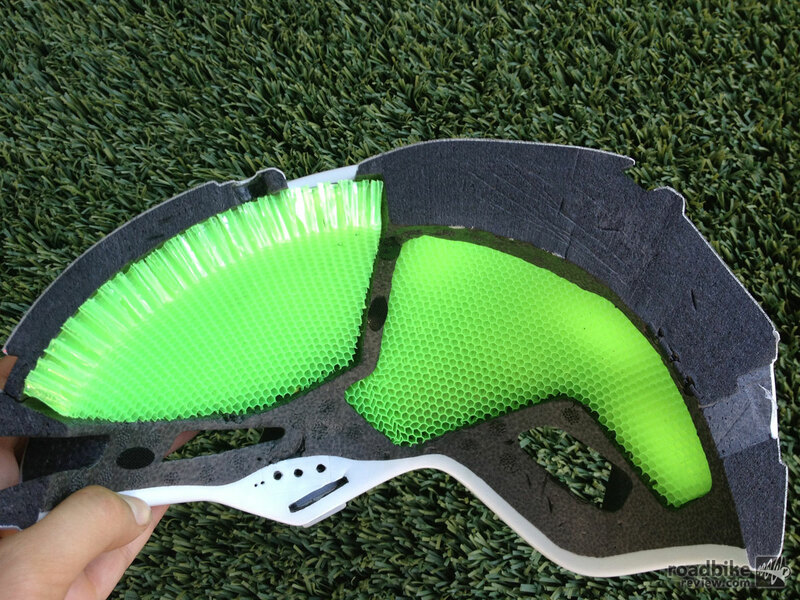 Both helmets have to pass the same impact testing standards, and are usually constructed from similar materials. 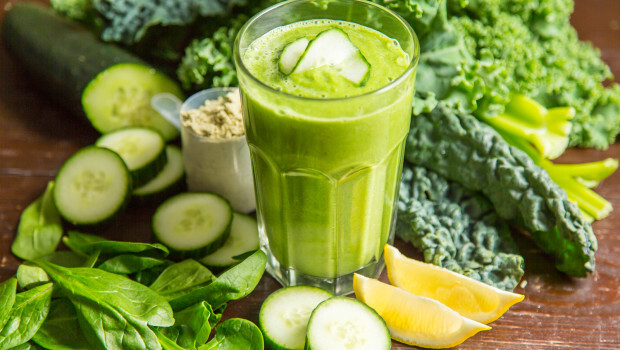 So how do you decide which is best for you? 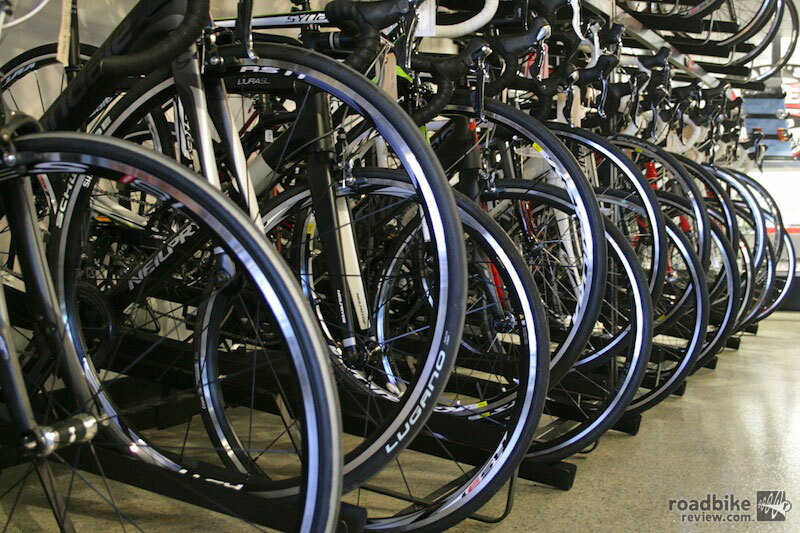 No one piece of equipment on your bike is more important and no one piece receives more abuse than your tires. So don’t just slap the deal of the week on there and call it good. 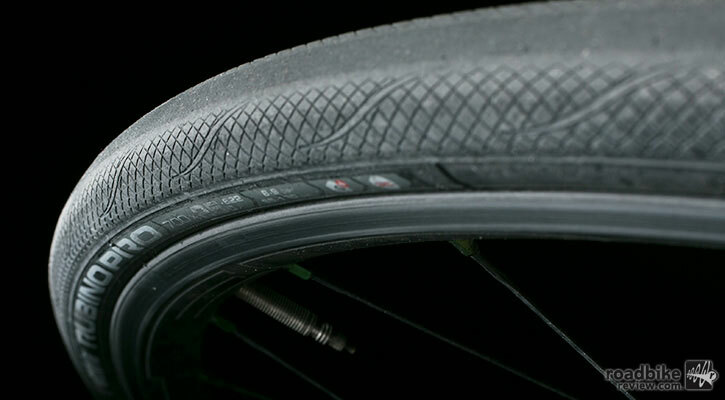 Instead learn how to choose the right road tire to fit your needs. 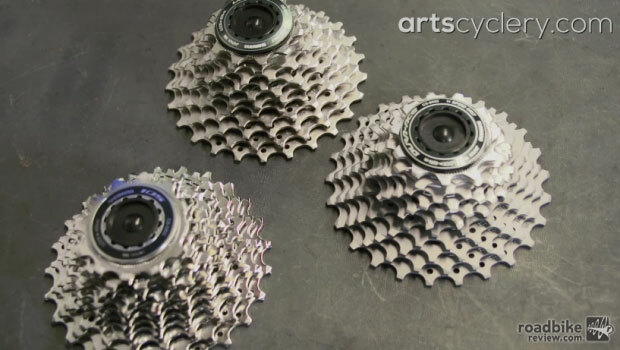 The rear hub is one of those seldom understood components. Everyone uses one, but few realize exactly what is going on inside. Here’s what you need to know. 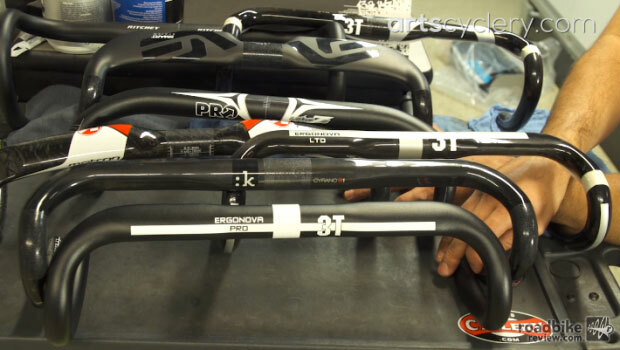 How do choose the right road handlebar? 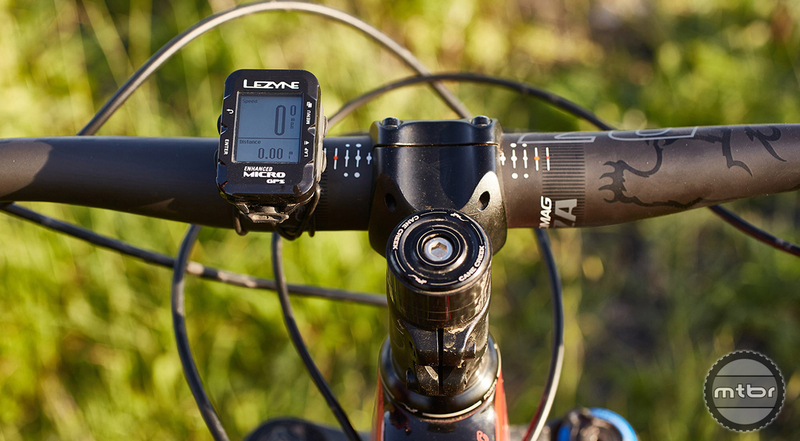 And what determines where you put the levers on the bar? 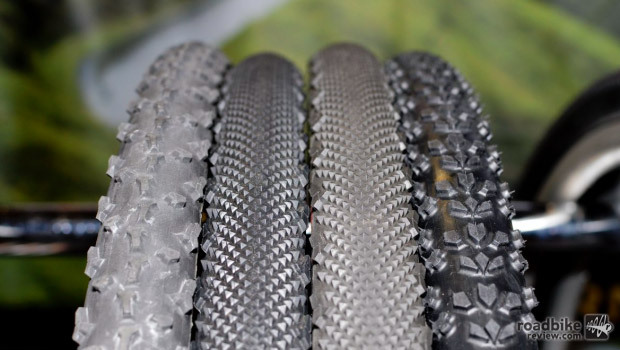 These are important questions, as selecting the correct bars can make a huge difference in the comfort and quality of your ride. 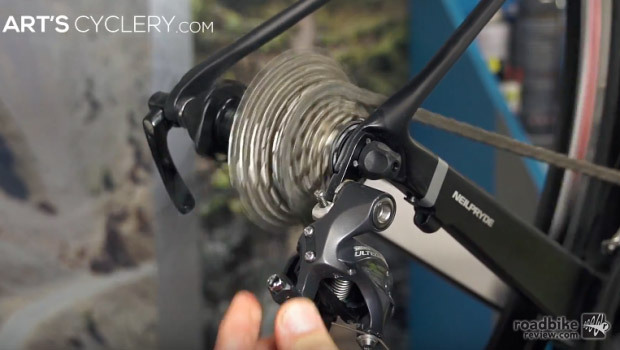 With an assist from our friends at Art’s Cyclery, here’s a part by part breakdown of where you’ll find the best bang for your buck when outfitting your road bike with Shimano drivetrain components.